I have shared with you previously on HOW I GET RID OF MY ACNE SCARS and there's many of you sending my emails asking more about the Banish Kit! 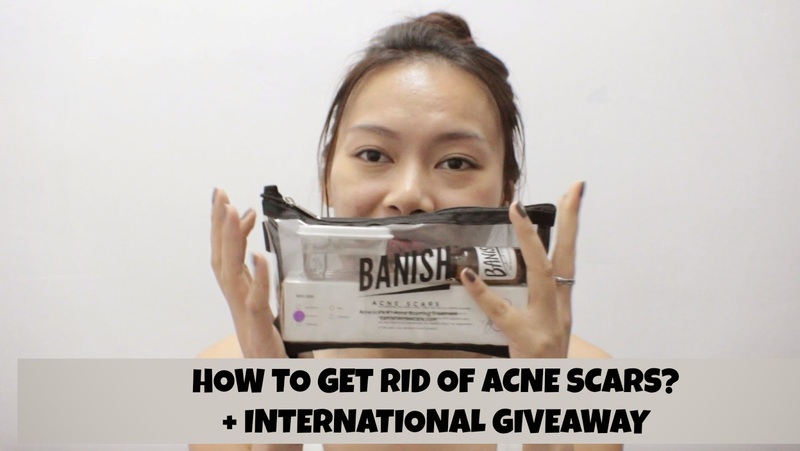 Thanks to Banish Acne Scars company for being sweet to my readers and followers, I am giving away ONE BANISH KIT on my Youtube channel! I filmed it in Mandarin-Chinese because you can find tons of video about Banish Kit on Youtube very easily. For those who can't and don't understand Mandarin-Chinese, you can read my previous post about my review on Banish Kit and of course, you can enter the giveaway to stand a chance to win yourself the Banish Kit too! HOW TO ENTER THE GIVEAWAY? Contest ends on 28th February 2015. Winner will be contacted via email.